King of ContentContent Marketing & Promotion. Content marketing is the corner stone of any successful business. Having a fresh, user focused content strategy can make the world site up and pay attention. Its so much more than the content copy that sits on your website. You need to wow your potential customers with engaging, informative and entertaining content via infographics, vlogs, videos etc. Relevant & Valuable Content Create, Promote and Engage With Audiences. Being a content marketing agency we concentrate on more than just the on-page copy of your website. Whilst we ensure that your website copy is engaging; we also utilise inbound marketing techniques to attract new audiences with engaging content pieces. There are over a billion pieces of content published each and every day. Its a very competitive market. Our content marketing experts will carefully craft content that reaches the next level. So many businesses simply rely upon a sales pitch in there content. They alienate themselves form prospective new clients that are looking for engaging and informative content. Our content pieces turn words into traffic and traffic into potential new customers. We can create viral content pieces that have mass appeal that will incite emotional responses. Appealing to those that will naturally share your content that will ultimately boost your online traffic. Add your business voice with the use of social video content pieces. Story telling which is rich and moving that delivers important information to potential customers and taps into a growing market. Inforgraphics is a method to convert ordinary text information to be more visually appealing. Using vibrant imagery with text to help educate audiences on variety of topics. We help create authoritative and persuasive whitepapers on relevant topics within your industry. Whitepapers can help to provide solutions to problems and potentially create partnerships with organisations. Creating content that highlights the latest industry trend. Become an authority in your industry and gain new relationships whilst still acquiring relevant traffic at the same time. We can create valuable, free content in the form of ebooks and PDF’s. Shareable content that will attract new prospects and convert them into paying customers. 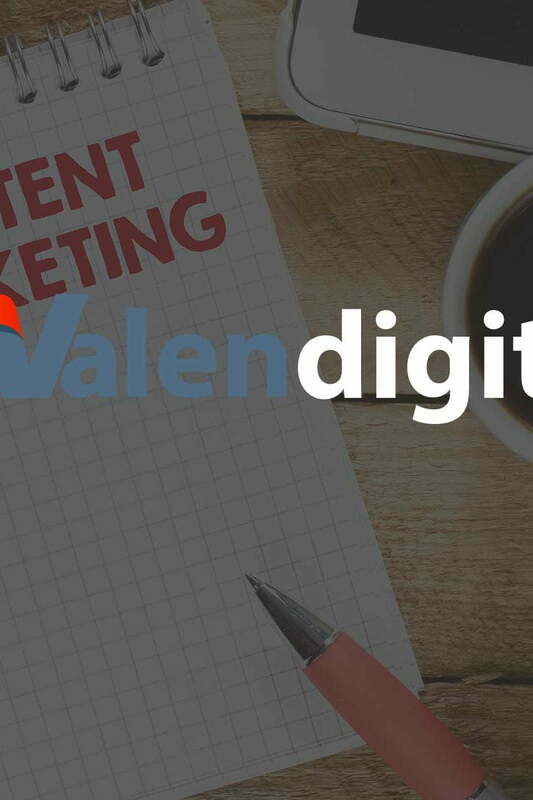 At Valen digital we can help create noteworthy press releases that contribute to awareness and promote engagement. Announce your competition, event or a charitable contribution. Valen digital can help create opt-in newsletters. We can design beautiful looking newsletters that arrive into the customers inbox and not spam folder! Keep your audience in the loop with special promotions and offers in a spam free and efficient manner. Our SEO optimised copywriting service is digitally friendly with the aim of engaging with a sites visitor. The copy on your site will reflect your business as a whole whilst still adhering to best SEO practices and ensuring each page is optimal for the search engines to consume. Your website copy will be free from grammatical errors and copy that simply waffles on and doesn’t make sense! We can look at exiting copy to refine it or give it a complete revamp. We will go through each page with a fine toothcomb to ensure it satisfies your potential customers and the search engines. Getting creative and producing a viral content campaign is no easy task. Viral content needs to appeal to the masses and incite an emotional response. The response will prompt sharing of the content piece and create awareness and ultimately drive traffic to your website. We will conduct in-depth research on emerging trends and topics closely related to your industry topics to determine what could potentially be a viral piece of content. We will put that content together with visually appealing imagery that will incite that emotional response to trigger sharing of the content. Promoting your video on social networks can be extremely valuable. It creates strong brand awareness and research has shown that people viewing videos are 2x more likely to buy your product. Users are craving for video content as are social websites who want to retain them longer on their own site. FaceBook alone estimates that there are 8 billion views daily! We can help formulate an effective social video strategy that allows you to benefit from this growing trend. Infographics are very popular and a great medium for being shared online, especially in the B2B market. We can create many different types of infographics from time-line, instructional, comparison or ones that demonstrate evolution of things (i.e tech, populations etc.). We will use trending topics from you industry or even re-purpose old content that’s getting stale on your website like blog posts, presentations etc. (these would be perfect candidates for an infographic). Our infographic designs are detailed yet visually appealing and engaging for the end user.